For the raw Distant Worlds Extended mod for those who want the original UI, flag shapes and resources please scroll down. Warning: not all mods will work together, mods with races will not merge together for example. 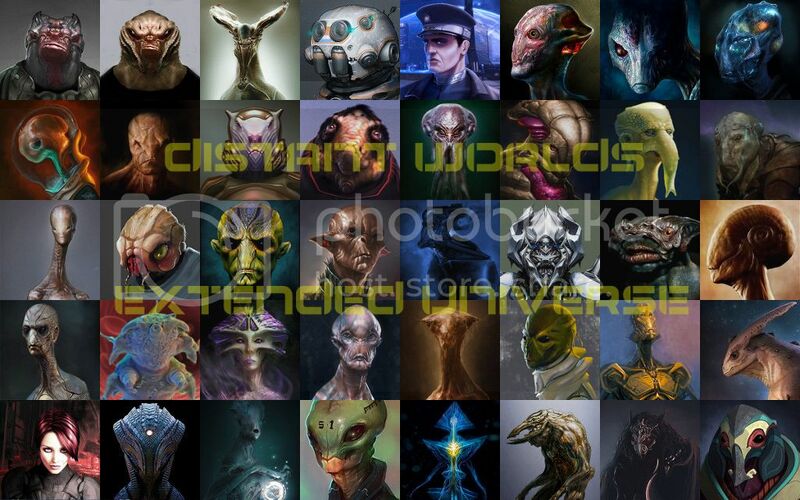 18 new races for Distant Worlds set in the Distant Worlds universe bringing the race total to 40. Each with their own unique flavour, flags, dialog text, victory conditions, strengths, weaknesses. Each race has been balanced with countless hours of play testing, this mod does not create a new race that will dominate all your games but they do bring with them their own challenges. Distant Worlds Extended Universe - The only version for the latest version of the game. Only for if you downloaded a previous version and don't want to download the full package. Added ship designs for each new race. Added unique troop images for each new race modified from original art. Updated mod to Shadows format. 9 races added to a total of 16 new races with their own ship sets, dialogue, policies and biases. For just the original 7 new races without the new style race images. This mod requires Distant World Legends patched to the latest version. Extract the contents of this .zip file to your Distant Worlds Customization directory. Then when you start the game select Change Theme from the main menu and select Distant Worlds Extended. Please update to the latest version of Distant Worlds when using this mod. Thanks to Darkspire for authoring the Galactopedia files for me. Thanks to Kalthaniell for the use of his ship sets. Without Kal this mod would be half of what it is. Thanks to WoodMan for the use of his ship set. 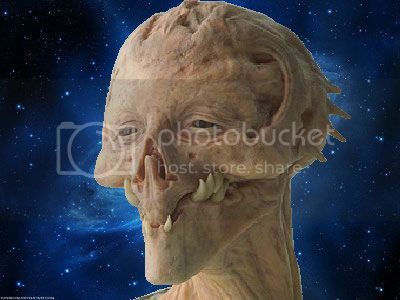 Thanks Martian for the use of his race images. Thanks to Robocrab for the use of his ship sets. Other contributing artists. Please check out their great work and throw them praise. Status: offline Will there be Cylon-like race? Status: offline So far, looks VERY NICE Haree! Status: offline Or maybe what we need is Prometheus-movie like race that is divided to one thta create life and ones thta destroy it. Is it possible to mode story into DW Legends? Status: offline Excellent stuff! There is a race I have long wanted to add myself but never got around to it. I'll wait to see if you included it. Those who have read every little nook and cranny of the Galactopedia may have noticed a race not included in DW is mentioned in one article, I've always wondered what they might be like! Status: offline Now you got me intrigued, tell me where to look! Under one of the luxury resources, not sure which one, it says the beast even feeds upon small sentient beings like Teekans and Jintus. I assume Jintu was an old name for the Ugnari but it got left in the Galactopedia under this entry by accident. Since then I've wanted to make another rodent race called the Jintu, but too lazy. Hey maybe with your permission we could add them to your mod? Status: offline Need more previews! Status: offline I'm thinking Tairoshan will be an intelligent race. But then again, their spacesuits looks so retro so they might be technologically backward or just cool-retro-fashionable :). Status: offline Thanks for Your effort on this Haree78. Can't wait to play DW with Your MOD ! Any ETA release date ? Status: offline Hi guys, it will be within days, playtesting these races for balance is hard, some games they do amazingly too well and others they don't get off the ground, it really depends on starting positions so I'm forever tweaking. Also I am changing winning conditions to get them just right, the conditions I gave for the Keskudons are probably slightly going to change. I didn't notice until yesterday morning that all races have a long term win condition, which makes sense and I will be changing appropriately. Status: offline Oh, forgot to say, yes Woodman, adding races to this mod once I have released these 7 would be great. Oh, forgot to say, yes Woodman, adding races to this mod once I have released these 7 would be great. Status: offline Hey all please check the original post, all race backgrounds are up and you can now download and play. I would love to hear from you your thoughts and experiences with this mod. The race previews above don't include all the interesting parts of the mod such as the Keskudons having +40 strength to their troops on colonies with Korabbian Spice, making you value certain planets over others. Try the game out with these new races I'm certain things will feel nice and different in your games. Status: offline Looks awesome Haree. Not sure when I'll get a chance to play, but I'll try it out sometime. It's been about 6 or 7 months since I played with the original races, so it'll be like a new game for me!! Status: offline The problem is the art does not allow them to merge with the vanilla races.Like most mods it makes the game look like a messy hodge podge of art direction. Status: offline I didn't get her permission, don't tell her please! Status: offline Great work. Will have to play few games with these new races, Thanks. Status: offline Thanks dude, hope you have fun. I've had some great games testing this, the best games I have had is when I put the difficulty up higher. Status: offline Just a couple of things. Is there is a race you would like to see added to Extended or would you like to get the opportunity to design your own race to be added in to Extended? Also I am very open to any criticism if you have tried some games with the mod, I would love to hear what didn't quite work for you. Status: offline Haree78, the only thing I would like to request is unique troop and ship images for each race if possible. Other than that, thumbs up and cheers!!! Status: offline I'm going to give this a try on my next game, I'm a bit boring though I only ever play as Human! Haree78, the only thing I would like to request is unique troop and ship images for each race if possible. Other than that, thumbs up and cheers!!! I am unable to do unique ships I am afraid, the amount of ship sets in the game is at it's limit. If I were to have ship sets unique to the races some other races would lose their ship set. In the mods defence I have chosen appropriate ship sets that fit the race and given the amount of different races and that only 2 races will ever share 1 ship set I am yet to actually even notice. With the troop images what are you using for the vanilla races? It is extremely easy for example to use the race images as the troop images, the only reason I didn't was because vanilla Distant Worlds used that tank image. If you want to use the race images for troop images just copy paste the race images in to the troop images folder and rename appropriately. @Bleek I am the same, I rarely play the other races but having even more variety in opponents is much more fun for me. Absolutely, thanks for doing this!